I adore making other people's music shine; be it from a mixing, production or compositional standpoint. More and more artists are self-producing and swerving the traditional A&R / label structure, and this has greatly increased the need for my skillet as a "finisher": I specialise in making your tracks shine with additional production and a really exciting, dynamic mix. I started off playing in a touring/recording band (Battle), which got me interested in production. I then assisted a big British producer working on albums/making tea for Florence + The Machine, Plan B, Friendly Fires, Jack Penate and others. I then went solo and worked with a lot of bands and pop artists. I started to find it more common to be sent bedroom demos (such as Veronica Fusaro's Ice Cold EP) which needed an extra set of ears. Now, I add the extra 20% or so by polishing the sounds, arrangement and then mixing the track. When I mix, I do so with a very musical ear and so if it's appropriate I may suggest arrangement changes, request re-recorded parts or I might swap/augment your drum sounds with well-selected samples from my vast library. 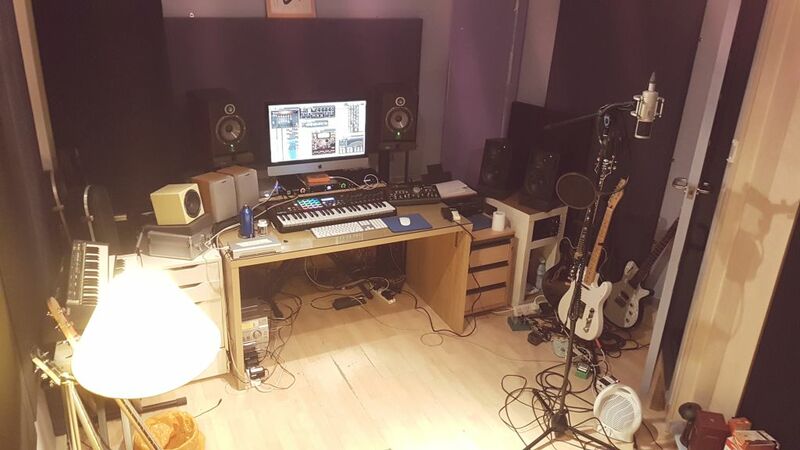 My studio is in North London and I am happy to do attended mixing sessions, as well as recording, producing and writing. I genuinely love nothing more than my clients being happy, so I will always make sure that the final mixes are on-point and to your liking. A mix will take a full working day. Additional production/mixing can take longer. Smaller jobs (editing, tuning) can be turned around within 24 hours typically. I usually allow 2-3 mix revisions.